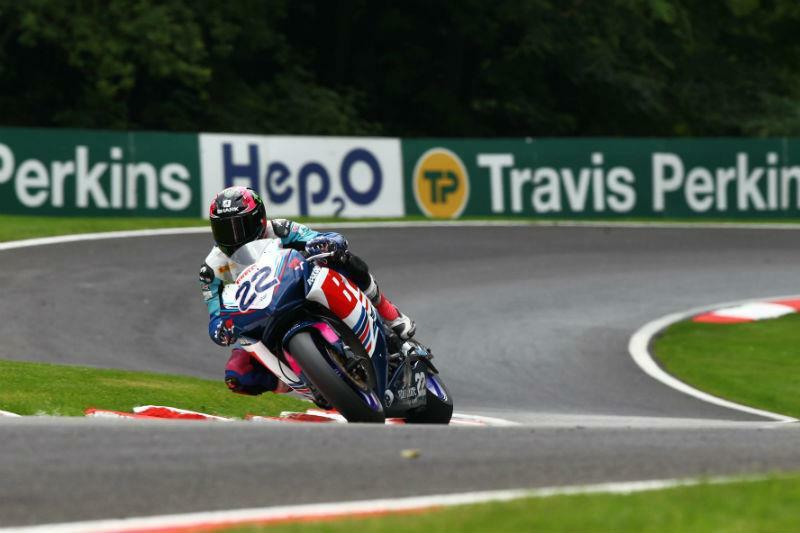 Alex Lowes took his WFR Honda to a brilliant pole position at Cadwell Park on Sunday afternoon, overcoming difficult, damp conditions in the early stages of the qualifying session to take top spot for the eighth round of the British Superbike Championship. The wet track soon began to dry and, competing at his home circuit, the Lincolnshire rider, stilll in contention for a Showdown place, posted a lap of 1m27.505s to get the better of Tommy Hill on the Swan Yamaha. The reigning champion put in a time of 1m27.534s on his final lap and he'll be joined on the front row by a rejuventaed Jon Kirkham. The Samsung Honda rider won the opening round of the season at Brands Hatch back in April but has struggled for form and confidence ever since he crashed at Oulton Park in May. That appears to be firmly behind him now and he was able to get the better of team-mate Michael Laverty who took a solid fourth as he looks to confirm his Showdown place this weekend. Fifth place on the grid will be occupied by Karl Harris, the Quattro Plant Kawasaki rider having shown excellent pace in each and every session and a second row start was just rewards for the man who's only having his second BSB outing of the year. He edged out fellow Kawasaki rider Danny Buchan who more than justified his promotion from the Superstock 1000cc series to the country's premier class in sixth. Peter Hickman, twice a faller this weekend, James Westmoreland, a flying Mark Aitchison on the Splitlath Aprilia and Michael Rutter rounded out the top ten although the latter only completed one lap in Q3 before crashing out uninjured at the Gooseneck. Josh Brookes, currently third in the Championship, could only manage 12th, whilst it was a disappointing qualifying session for many of the Showdown contenders with Alastair Seeley (11th), Ian Lowry (14th), Chris Walker (15th), Tommy Bridewell (17th) and Stuart Easton (20th). Meanwhile, it's proven to be a disastrous weekend for Noriyuki Haga and, having already fallen on Saturday, he crashed in Sunday morning's final free practice session sustaining a broken collarbone and putting him out of action for the weekend and, possibly, the next round at Donington Park in two week's time too.